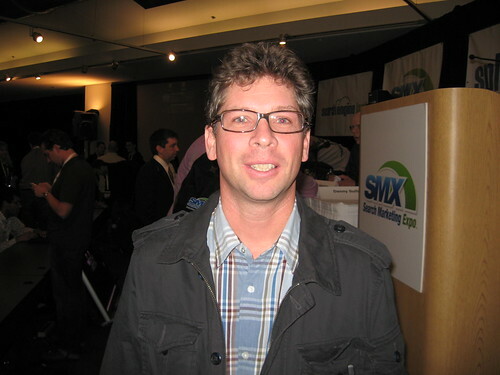 Danny Sullivan and his SMX Advanced in Seattle, WA once again, brought in an excellent panel of experts. Here are some thoughts about these panelists I have met and or followed over the years. From Left to right is Danny Sullivan at the Podium. Stephan Spencer, Bruce Clay, Vanessa Fox, Todd Friesen, Rae Hoffman and Brett Tabke. Danny Sullivan is probably the best known expert on search engine behavior. I have been a fan of Danny since I first met him at SES in Chicago December 2004. Since them I have branched out to his SMX Expo. 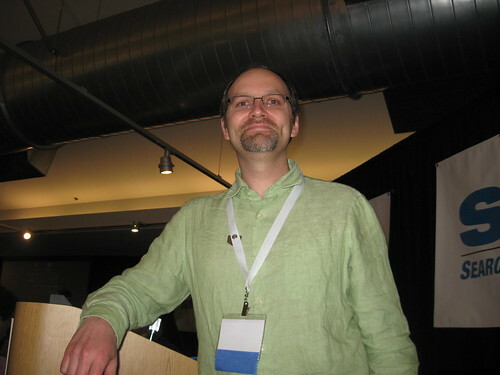 I regularly read his blog, Daggle and his business SEO website Search Engine Land. First up, the SEO Genious Stephan Spencer. I only understand about half of what he says. Last year, there were 2 SEO sessions, "Blow Your Mind Link Building Techniques" and "Give it UP!" that were less than white hat. I blogged about it here The Yin and Yang at 2008 ADVANCED SMX Stephen Spencer revealed a cacophony of SEO Tricks in 'Give it Up!" that I'm sure that had Matt Cutts and Danny Sullivan cringing.